A TRUE OPEN-TOP EXPERIENCE Designed with the driver in mind, the interior of Mazda MX-5 Z-Sport offers sumptuous levels of quality craftsmanship along with the latest infotainment system. The stand-out feel continues with Sand Leather seats, plus Z-Sport floor mats* and scuff plates. While to further highlight its uniqueness, each car comes with an individually numbered Z-Sport plaque on the dash. 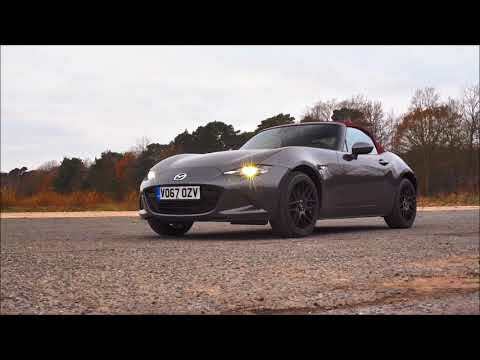 Experience the latest embodiment of the limited edition Mazda MX-5 Z-Sport, with all the spirit, style and fun that this iconic roadster is famous for. The fourth generation of this iconic model reinforces its position as the world’s best-selling two-seater sports car, boasting improved power-to-weight ratio, superior handling, exquisite styling and innovative technology. The MX-5 Z-Sport is a head turner with its unique Deep Cherry Convertible roof and contrasting Machine Grey Metallic paint. Put simply, the best just got better. Iconic Design Inspired by powerful animals in motion, Mazda MX-5 Z-Sport expresses its exhilarating handling ability through its stunning design. The muscular body creates a sense of energy, while piercing LED headlights add to its confident road presence. The low slung stance and well-proportioned dimensions combine to make it look poised and ready to charge as soon as the engine starts. Grab the Wheel The stunning exterior flows into an exquisite interior which has been crafted to the highest quality standards. With a low centre of gravity, your seat is positioned at the optimal point for that thrilling connection with the road, whilst also allowing easy reach of all functions without diverting your attention from the road. 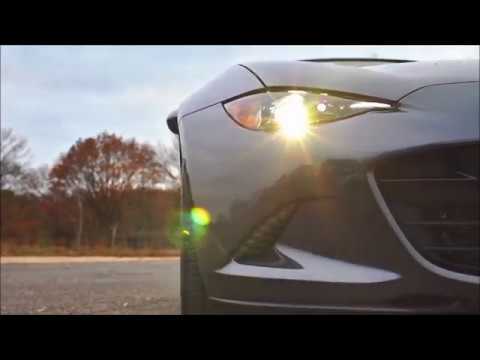 Throw back the roof and reveal Mazda’s unquestionable attention to detail. It’s all about the Driver SKYACTIV Technology is all about making driving more fun. Embracing all the technologies – engines, transmissions, chassis and body – it’s an approach that completely reimagines the car from the ground up. Coupled with rear wheel drive, 50:50 weight distribution and a lower centre of gravity, SKYACTIV Technology enables Mazda MX-5 to deliver its thrilling driving experience, balanced with outstanding environmental and safety performance. Engine Start / Stop Button Allows you to conveniently start or stop the engine without having to INSERT IGNORE a key.